When you think of security systems, your first thought is that they will protect you from intruders. However, you alarm system will also safeguard your property, check for smoke and carbon monoxide, and alert the authorities that you need help. 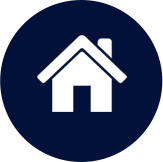 A good security system in Denver has several key components. Protecting your windows and doors is an important part of securing your home as they are the entry points for intruders. Wires can be run to contact points on many doors and windows, but this is sometimes not possible – or you may consider the wires unsightly. Wireless contacts are a convenient solution that offers both the total perimeter security you need along with flexibility. The wireless option is not only an affordable alternative to hardwiring your alarm system, but a long lasting one as well. If a window is broken or a door lacks a contact, perimeter devices don’t work. Glass break sensors and motion detectors will alert you to security breaches not recognized by perimeter devices. Arming and disarming your security system in Denver entering a code once you come in or out of the door. 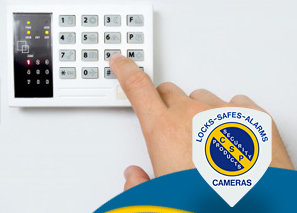 Available in wired or wireless models, the keypad is the nerve center of your alarm system. 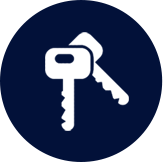 The keypad has many features programmed in, and users can customize the screens with a variety of icons to remind you of the features you want to access. You can even control certain zones in your home – for example, if you want to sleep with the windows open in one room, you can still arm the rest of your home. When you are a homeowner, you not only risk intrusion but the dangers of smoke and carbon monoxide as well. Properly installed detectors will alert you of a potential fire or leaking carbon monoxide gas. They are an important component of every home and business alarm system. When these detractors alert you of a problem, you have just a few minutes to call for emergency help and escape. All these components work together to keep you safe. At Colorado Security Products, we are happy to give you a full security consultation and install the system that is right for you. Just contact us at (303) 756-1000 to discuss your need for a security system in Denver or the Metro Area.